I thought I would create a dinosaur age map, so here we go. Thanks to DerWyyy and Death for correcting errors and huge thanks to Oculus for testing this. Nice little map. It is somewhat similar to a previous Pangaea style map, but I like how the territories are divvied up in this one. 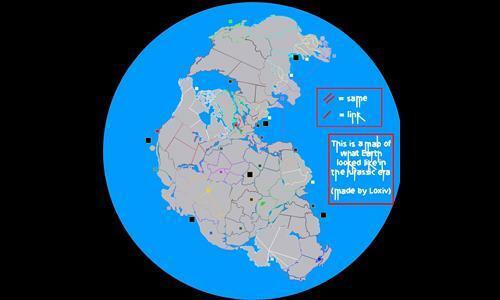 Despite the clumped landmass, the territories are fairly easy to conquer and hold. It can be difficult to see how some territories connect, particularly Caribbean Coast and South East USA, which should probably have a line connecting them.